For basketball fans, the month of October is simply weeks of buildup to the long-awaited opener of the NBA season. To help make the days go by faster, we've been rolling out our NBA team previews and power rankings for all 30 squads. Yesterday, we explained our choice for the Washington Wizards at No. 14. Up next on our list is one of 2014-15's most pleasant surprises, attempting to build even further on its ahead-of-schedule success. 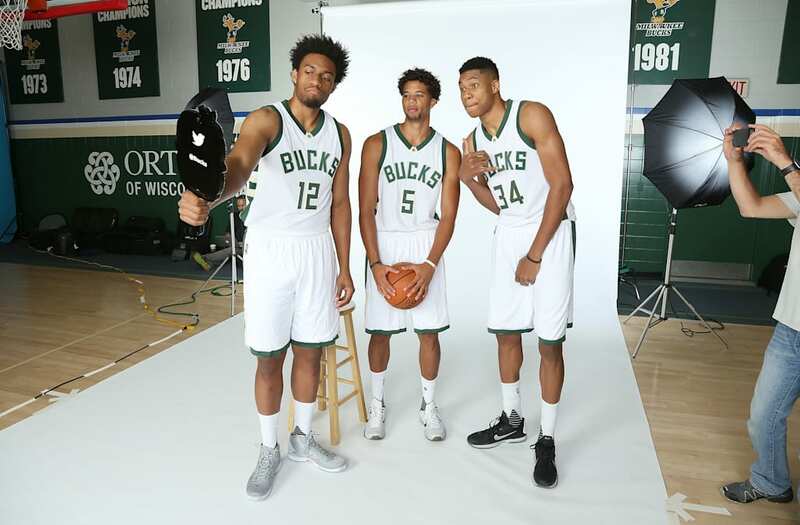 The Milwaukee Bucks won 17 games in 2013-14. They then drafted Jabari Parker, plucked Jason Kidd from the Brooklyn Nets' bench onto theirs, signed a few veterans contracts and swung a few trades. Voila! One year later, the Bucks were playing playoff games. They finished 41-41 in the East, good for the No. 6 seed and a hard fought playoff series against the Chicago Bulls. Thing is, they accomplished all that with Zaza Pachulia as their starting center, Jabari Parker out for the latter half of the season and swapping starting point guards in February. This year, Milwaukee has a clear offensive focal point in Greg Monroe, who -- as poor a rep he got in Detroit for not fitting well alongside Andre Drummond -- is one of the more consistent young big men in the NBA. He's averaged better than 15 points per game in each of the last four seasons, shooting 50 percent while hauling down 9.7 rebounds per game. Having Monroe to dump the ball to at the end of a shot clock, when all else fails. Last year, they posted just a .399 effective field goal percentage in the final three second of the shot clock, according to 82games.com. Returning is Khris Middleton, a breakout player last year who turned himself into a $70 million man. Middleton shot 40 percent from three-point range a year ago, providing incredible length and sturdy defending on the wing. Michael Carter-Williams will enter his first full season with Milwaukee, and under Kidd, the hope is that he can further hone his skills and cut down on turnovers. He committed 43 "bad pass" turnovers in just 25 games with the Bucks after his arrival. The most important aspect of the Bucks, along with Jabari Parker's impending return, is Giannis Antetokounmpo, the athletic freak of nature who is still perfecting his role on the Bucks. According to Basketball-Reference, he spent significant time at four positions, a product of his extremely unique combination of size and skill. At 6'11" with a 7'3" wingspan, quickness and the ability to handle the ball, Antetokounmpo presents matchup issues presented by nobody else in the league. His weakness comes from beyond the arc, but after effectively eliminating that shot from his game for the last 15 contests of the regular season, he shot 49 percent and averaged nearly 15 points a night. Giannis' progression will be key, and if he takes the necessary strides in Year 3 of his career -- combined with Jabari Parker picking up where he left off pre-injury -- there's reason to believe the Bucks can make some noise near the middle of the playoff picture.